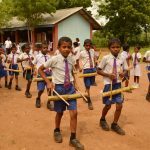 Elemotion Foundation works with rural school children to instill conservation principles in future generations. 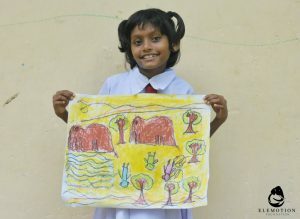 Our projects focus on villages bordering Sri Lanka’s wild elephant protected reserves. In Sri Lanka, it’s common for wild elephants to roam out of their protected areas and into rural villages in search of food. The elephants raid village crops, damage property, destroy livelihoods, and may scare, injure, or kill people. The clash between elephants and man is called Human-elephant conflict (HEC). HEC affected children may hear their parents and neighbors complain about recent raids and property damage. When families lose income due to HEC, daily life is disrupted, including the children’s possibility to attend school. 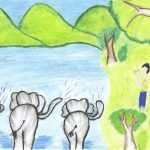 Many children see wild elephants regularly and may even walk through elephant infested forests to get to school. On the other hand, some families actually depend on elephant tourism for a living. 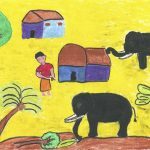 Despite the complex circumstances, children understand the basic situation between wild elephants and man. They still believe elephants are good and do not mean to harm them. 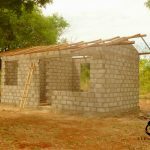 Elemotion Foundation wants to nurture this understanding of wildlife and wild elephant conservation by providing schools with infrastructure, supplies, awareness programs, and nature related activities. 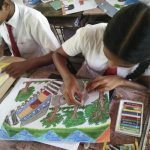 If you would like to support our Education for Conservation school projects, please make a one-time or monthly donation here. In October 2018, Elemotion Foundation continued our conservation work with the children of Galoya Handiya Secondary School with a donation of over 350 books for the school library! Reading helps children use their imaginations while improving comprehension and language skills. Our donation has greatly expanded the amount of available books in the school library. The children will be able to read the books during their weekly library time, and check out two books per week. Four colorful, comfy mats were also donated for the children to sit on while reading in the library. Our donation coincided with a school event to honor two students for academic and sports excellence. About 55 children and 25 mothers attended the ceremony. 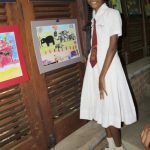 The principal also displayed the children’s artwork from a previous elephant themed art competition conducted by Elemotion Foundation. 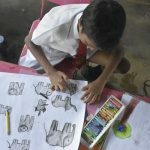 We are looking forward to organizing the next art camp and elephant conservation themed art project with the children. 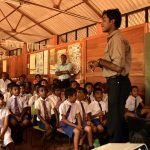 In March 2018, Elemotion Foundation teamed up with the Lunugamvehera National Park to conduct our first conservation program at the Thanamalwila Central School. Lunugamvehera National Park is located in southern Sri Lanka, in between Udawalawe and Yala parks. 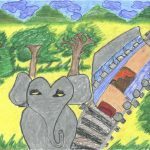 The villagers living around the park must deal with Human-elephant conflict. Poaching, mostly for bushmeat, is also a main concern at the park. The school program was attended by 50 children, plus school staff. Elemotion Foundation’s country representative, Dr. Deepani Jayantha, started with a fun and informative discussion about Human-elephant conflict. Her discussion was followed by a venomous snakes presentation conducted by a Lunugamvehera Park ranger. The children were interactive, enjoyed the presentations, and were curious to learn about these two important topics. 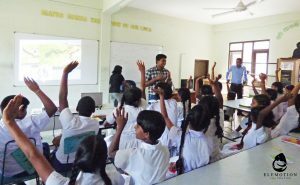 Elemotion Foundation thanks the Thanamalwila Central School’s principal and teachers as well as the Lunugamvehera National Park staff. We will team up together again later this year for more school activities. 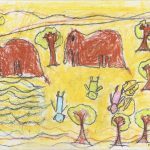 In December 2017, Elemotion Foundation sponsored a children’s art contest entitled ‘Elephants, Forest, and Us’. 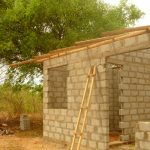 It was held at the Galoya Handiya Secondary School, located near Kaudulla National Park. We were delighted to have the school, National Park staff, a local artist, and a great team of conservationists, join us for the contest, judging, and final exhibition. The children of Galoya Handiya school live in villages surrounded by wild elephant protected areas. 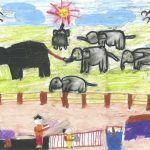 These families must deal with Human-elephant conflict, a growing elephant tourism industry, and even train collisions; all themes reflected in the children’s artwork. 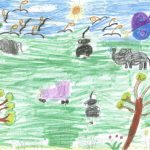 The art contest is a great way for the children to express their views, ignite passion for conservation, and continue learning about the importance of wildlife in their lives. 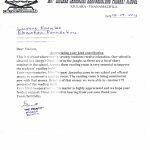 There were 57 participants from grades 1 – 10. 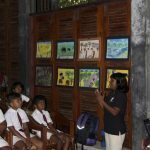 The artwork was judged by a senior wildlife artist, an art director from the Education Ministry, and Elemotion Foundations’s Sri Lankan country representative. Five winning artworks were chosen from three age brackets. 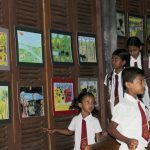 The awards presentation and art exhibition was held at Kaudulla National Park on March 16, 2018. 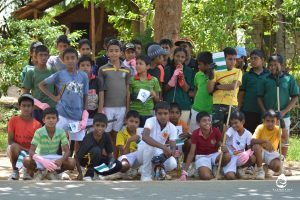 The Kaudulla National Park staff graciously provided the venue for the event. Contestants artwork was mounted and hung for the exhibition. The children and parents were delighted to see the artwork on display. The event was MC’ed by two students and included several speakers. 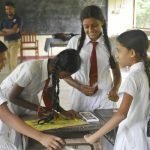 All contestants received certificates of participation designed by Elemotion Foundation and signed by the art judge, Kaudulla National Park’s warden, and Elemotion Foundation’s Sri Lankan country representative. 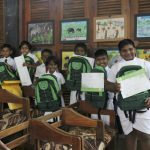 A Kaudulla park ranger and organizer procured new school backpacks for the winners and boxes of pastels for children who did not receive a prize. Winners also received books chosen especially for the individual student by Elemotion Foundation’s country representative. Book themes included art, science, animals, and travel. Elemotion Foundation would like to thank the Galoya Handiya principal and staff, the Kaudulla National Park’s warden and staff, Wildlife Department ranger Anil Vithanage, artist and cartoonist Dharshana Karunathilake, Herpetologist Sameera Karunarathna, Elemotion Foundation Volunteer Shenya de Silva, our friend and driver Wasana Perera, and Elemotion Foundation’s Country Representative Dr. Deepani Jayantha. Elemotion Foundation is planning an art camp this summer with Galoya Handiya Secondary School to continue to build on the children’s art skills while promoting wildlife and elephant conservation. 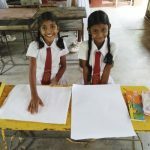 In Sri Lanka, October 1st is World Children’s Day. To commemorate the celebration, Elemotion Foundation sponsored a host of nature activities with 45 school children and 12 staff from the Galoya Handiya Secondary School. 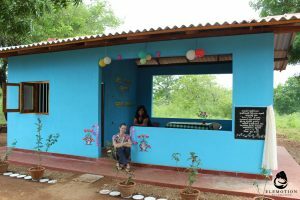 The school is surrounded by protected nature areas near Kaudulla National Park. Elemotion Foundation had an amazing team of good friends and conservationists for the school program. 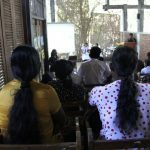 Joining us were: Herpetologist Sameera Karunarathna, Ornithologist Dulan Vidanapathirana, Naturalist Gayan Wijethunga, and Elemotion’s Country Representative Dr. Deepani Jayantha. Each team member conducted activities with groups of children divided by grade levels. Activities centered around nature, environment, conservation, sustainability, wildlife, and of course, elephants. Coloring, math, games, crafts, and more activities made the topics fun. Snacks and a yummy cake were donated to the kids too. 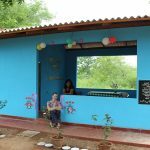 Elemotion Foundation would like to continue to work with this school to promote wildlife and elephant conservation. Trash in and around a nature reserve damages the ecosystem, the same ecosystem both wildlife and locals depend on. 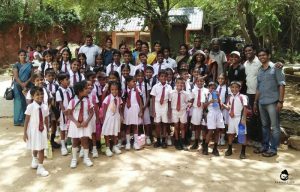 In 2015-2016, Elemotion Foundation sponsored two clean-up and awareness programs with local schools near Udawalawe National Park. We united local school children and the park staff to clean up the borders of the park. Working side by side, the trash gets picked up, and the children learn about the importance of keeping their environment clean! The children enjoy the hard work, have lunch, and each child receives a certificate on behalf of Elemotion Foundation and the park for their participation. 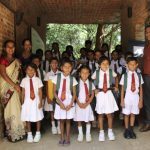 Kivul Ara Primary School, located in southern Sri Lanka, serves four villages and has sixty-one students, grades 1st through 5th. The villages border a protected wildlife reserve, and elephants frequently roam over the border. 99% of the families at the school are farmers, mostly illiterate, and dependent on their crops for income. In this area, wild elephants raid crops, damage property, and scare the villagers on a weekly basis. In 2013, we funded the construction of a library for the modest two-room schoolhouse. Construction lasted about 6months and was completed in spring 2014. Finishing touches, furnishings, and stocking the library was complete in early 2016. 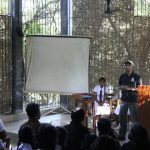 During this time, Elemotion Foundation also conducted several conservation related programs with the school children. The library is currently in use and became the first structure to be built since the school opened nearly 12 years ago. 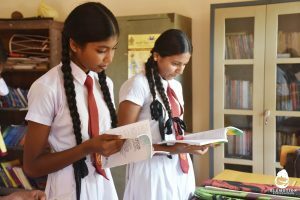 The library building adds a needed extra room to the school and helps instill a love of reading in the children. It gives them quiet place to read, concentrate, and study. 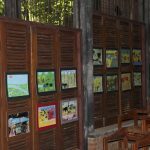 It also serves as a safe place to store English and Sinhalese books. February 2016. As part of our on-going work at Kivul Ara Primary School, Elemotion Foundation donated a printer, teacher’s chairs, 2 shelving units, and a computer table. We also donated 50,000LKR towards books for the library. The photo shows the 125 Sinhala books already purchased and donated. 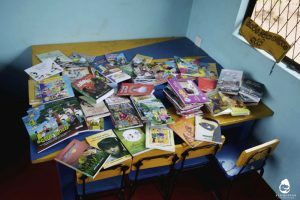 English books were purchased in Colombo and donated in March. June 2014. On this visit, we delivered a very special donation. Dogstar Foundation, an animal welfare charity best known for its amazing dog and cat sterilization, vaccination, and adoption programs in Sri Lanka, generously donated their children’s coloring books and very cool ‘Cool to be kind’ bright blue bracelets. The fun, informative coloring book teaches the children about basic, responsible dog care. It also discusses how to be safe around street dogs. Some of the Kivul Ara children have dogs for pets, and the school grounds are home to a several street dogs. We are sure the information will be very useful. 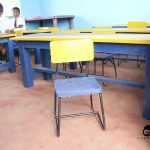 The desks and chairs, funded by Elemotion Foundation, are completed and in use. They are painted bright blue and yellow and are featured in the photo with ‘Cool to be kind’ bracelets. March 2014. The school invited Elemotion Foundation to participate in a special reading day. Classes were held outside for a change. The younger children worked on simple language skills and coloring. 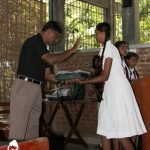 The 4th grade class performed a traditional Sinhala fable, and the 5th grade class presented their book reports in English. We enjoyed spending this day with the staff and children. We donated watercolor paints and english language animal flashcards. On this visit, we also discussed the donation of funds to construct desks and chairs.